Gyles Brandreth is one of Britain’s most sought-after award ceremony hosts and after-dinner speakers. He won his first prize as a public speaker as a schoolboy of fifteen. At Oxford, aged twenty, he was elected President of the Oxford Union. At 22, he turned professional. Since then he has spoken all over the world, in venues as varied as the Helmsley Palace, New York and Buckingham Palace, London. His audiences have ranged from the executives of Coca-Cola to a silent order of nuns, from a thousand bankers in Frankfurt to ten thousand members of the WI at Wembley Arena. He has featured in the Guinness Book of Records for making the world’s longest-ever after-dinner speech. To raise funds for the National Playing Fields Association, he spoke non-stop for twelve and a half hours. He has won awards as a public speaker, novelist, children’s writer, broadcaster (Sony), political diarist (Channel Four), journalist (British Press Awards), theatre producer (Olivier), and businessman (British Tourist Authority Come to Britain Trophy). A former Oxford Scholar, President of the Oxford Union and MP for the City of Chester, Gyles Brandreth’s career has ranged from being a Whip and Lord Commissioner of the Treasury in John Major’s government to starring in his own award-winning musical revue in London’s West End. 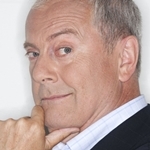 Gyles is a prolific broadcaster (in programmes ranging from The One Show to Have I Got News for You), an acclaimed interviewer (principally for the Sunday Telegraph), a novelist, children’s author and a biographer. His best-selling diary Breaking the Code was described as ‘By far the best political diary of recent years, far more perceptive and revealing than Alan Clark’s’ (The Times) and ‘Searingly honest, wildly indiscreet, and incredibly funny’ (Daily Mail). He is the author of two acclaimed royal biographies: Philip & Elizabeth: Portrait of a Marriage and Charles & Camilla: Portrait of a Love Affair. From 2007 onwards The Oscar Wilde Murder Mysteries were published, a series of six Victorian murder mysteries featuring Oscar Wilde as the detective (John Murray in the UK, Simon & Schuster in the US). Gyles Brandreth’s forebears include George R Sims (the highest-paid journalist of his day, who wrote the ballad Christmas Day in the Workhouse) and Jeremiah Brandreth (the last man in England to be beheaded for treason). His great-great-grandfather, Benjamin Brandreth, promoted ‘Brandreth’s Pills’ (a medicine that cured everything!) and was a pioneer of modern advertising and a New York state senator.